Shuck and Jive: When Did You Stop Being Sexist and Racist? If Obama loses, it will because Dems are racist. If Clinton loses it will be because Dems are sexist. 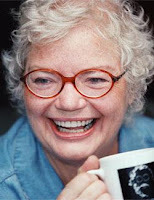 Two bloggers I like, Sharon Cobb, and Tennessee Guerilla Women, are having a disagreement. It is possible that if Dems don't start playing nice that they will implode and McCain will be president in November. I would hope that the Dems just get happy with which ever candidate wins the nomination. I like Obama, but if he doesn't get it, then I am with Clinton. I hope those who are for Clinton will accept Obama if he wins the nomination. Either will be better than McCain. "Either will be better than McCain". grrrrrrrrr....ok,ok. That much is true. But I cannot close without stating for the record that Hillary is McCain with a side order of abortion. And yes, the late great Molly Ivans gives great advice. God bless her soul. Ha! Good find! Gosh it is good to read Molly. Thanks for that article.